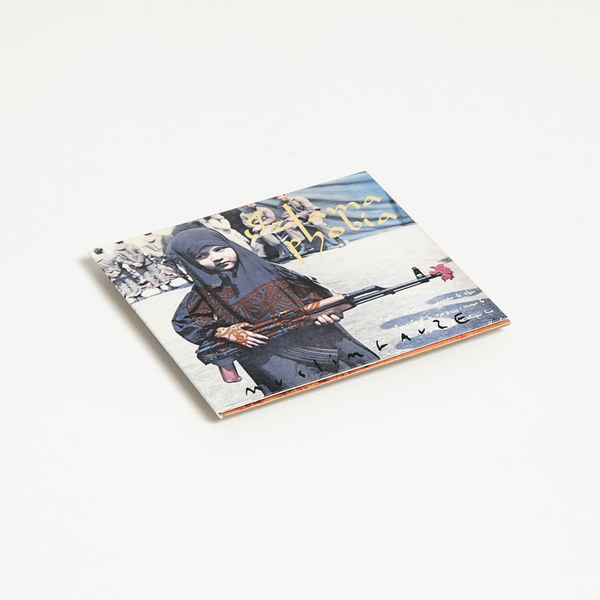 Double album from Bryn Jones' prolific Muslimgauze project. "First in what continues to be a series of limited-edition subscription-only releases from Staalplaat/Soleilmoon, Izlamaphobia starts with an aggressive blast, "Hudood Ordinance." 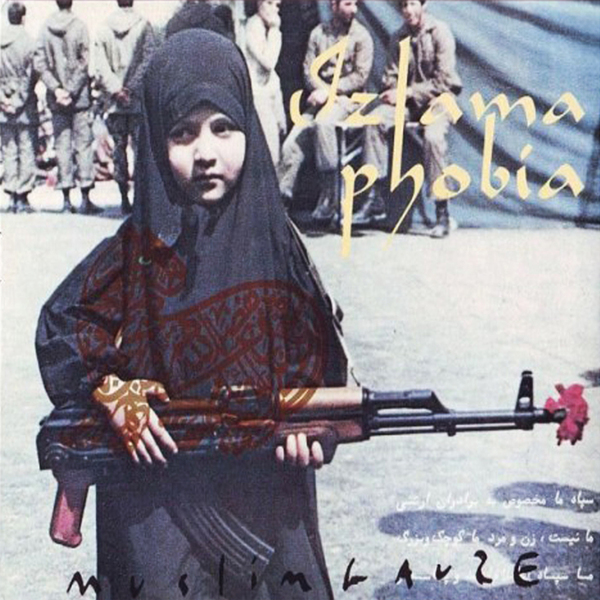 With a rhythm track consisting of extremely tweaked and processed electronic beats and bleeps, with only the gentlest of Arabic string instruments deep in the mix to relate things to a more familiar Muslimgauze sound, the song sets the general mood for the rest of Izlamaphobia. This said, Bryn Jones' specific talent is such that even without that, this would still sound like him, his trademark care and obsessiveness in terms of percussion again evident. Two discs long and with a variety of romanticized (some might say stereotypical) songtitles like "The Eternal Illusionist of Oid Bachdad" and "Lahore Morphine Market," Izlamaphobia has two chief artistic themes, if anything. On the one hand, Jones' incorporation of hip-hop and funk beats has never been stronger, providing songs like "Gilded Madrasa" and "The Public Flogger of Lahore" with a wickedly fierce kick and drive. 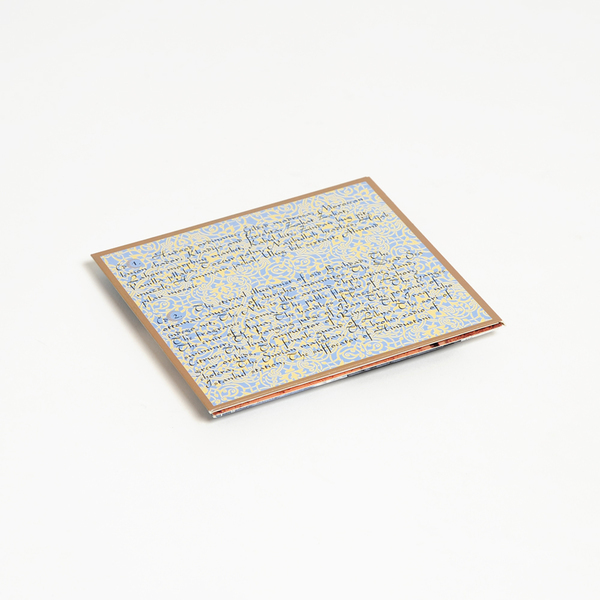 On the other, the strained, alien treatments on many of the songs would be well at home on innumerable Warp Records releases of the '90s, with squelching rhythms, undanceable dance tracks and, quite unsurprisingly, a desire to avoid expected techno clichés. With these two strains combined on many songs by Jones, the results are wonderfully slamming, strange tracks such as "Khadija and Fereshta." Not everything is quite so dramatically different from past Muslimgauze releases, with the incorporation of multilayered acoustic percussion cropping up more than once, such as on "Hijab Muzzle." Everything is just that little bit dirtier in sound, though, and all the more intriguing for it. 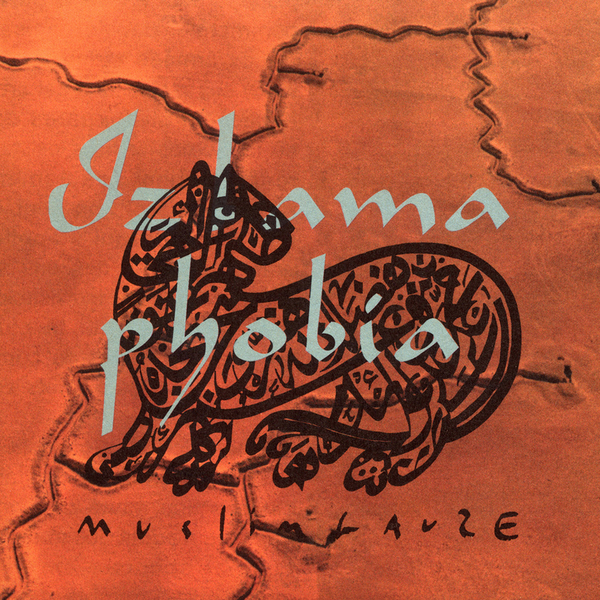 Some tracks are mere snippets and others don't quite deliver on their promise, but all in all Izlamaphobia is yet another Muslimgauze success."